StringPad was created by a Belgian start-up company by Patrick Villas and Jean-Pierre Geelen, both creators of multiple designs. 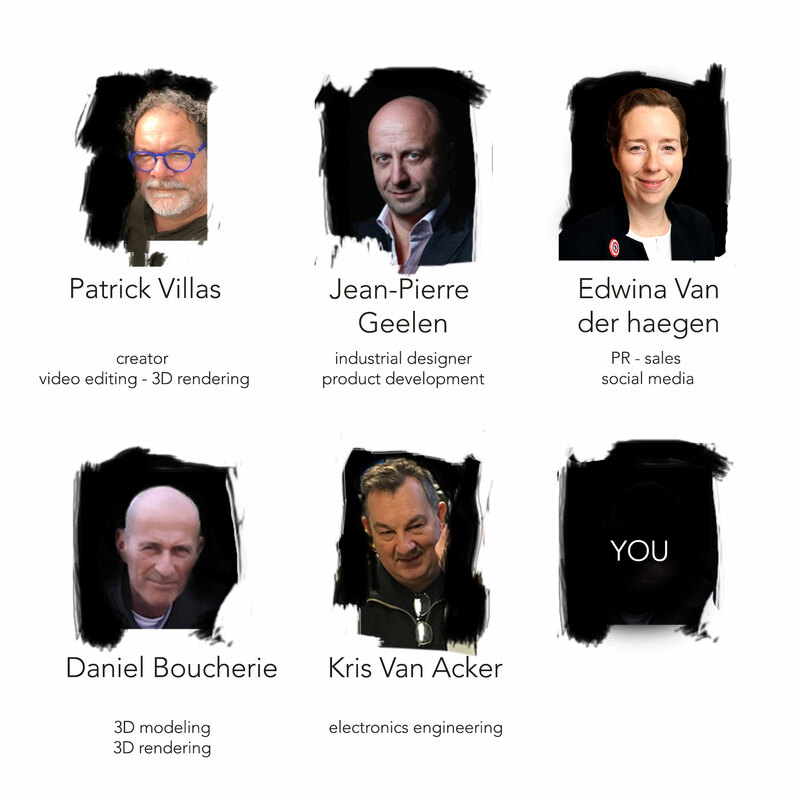 Patrick Villas is the actual inventor of StringPad, he also makes all the videos and part of the 3D renderings. In “real life”, he’s a well know artist, who has also created several design products such as the bollart® and the twist®, 2 design chairs. The bollart® was presented at the World Exhibition in Shanghai in 2010. Jean-Pierre Geelen is a successful industrial designer and product developer who redesigned the StringPad to make it sleeker and more practical. He’s been designing products since 1983. He’s also our Asian link, he gets the StringPad manufactured. Edwina Van der haegen joined the team as PR, sales and social media representative. She speaks 7 languages and is responsible for the website and social media campaign. Daniel Boucherie is our 3D modeler. He’s making industrial 3D renderings. Kris Van Acker is our electronics engineer, he created the special two ways amplifier that makes the StringPad unique.